Full Text Transcript: Oscar-winning documentary filmmaker Charles Ferguson — Inside Job, No End in Sight: The American Occupation of Iraq — has created a new film, Time To Choose. And it is devastating. It’s not only about the rampant, worldwide destruction of climate change; it is also about how climate change is leading to a highly volatile situation — global inequality. But despite the alarming news, Ferguson also explains why there is still reason for hope. In his conversation with WhoWhatWhy’s Jeff Schechtman, Ferguson tells of the death spiral that is the coal industry and how it has already destroyed Appalachia and brought so much death to China. He discusses the refusal of oil industry executives to talk on camera and spells out the cost of deforestation and industrial agriculture and the corruption they spawn. And yet he’s not all doom and gloom: he introduces some world-class entrepreneurs and innovators who fill the void left by the almost total abdication of government leaders and are making a difference to the future of the planet. You all know the story of the group of blind men and the elephant. Each one touches the elephant in a different way and in a different place. Each comes away with a totally different idea of what the elephant is. In a way, large subjects, large issues are like this: understanding the financial crisis, understanding the totality of healthcare, and understanding the enormity and scope of climate change. Most of us know a little: the impact of coal, the air in China, the advantages of solar, the concern about rising sea levels, holes in the atmosphere, and of course the political noise surrounding the issue. 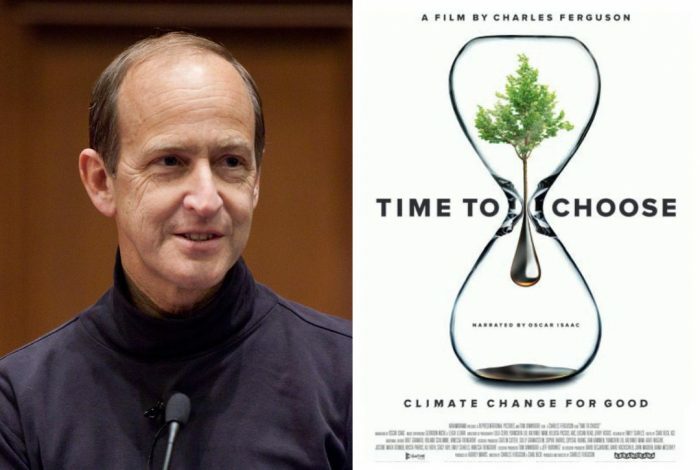 Now with a new documentary Time to Choose by my guest Academy award-winning documentary filmmaker Charles Ferguson, we have both an in-depth and a 30,000 foot look at the totality of climate change and some of the real solutions that are taking place and must be expanded. Charles Ferguson is a filmmaker and writer. He is the director and producer of Inside Job, winner of the Academy Award for Best Documentary Feature, and, of No End in Sight: The American Occupation of Iraq, which was an Academy Award nominee as well. He’s also the author of five previous books and he’s written for the Huffington Post, The Guardian, The New York Times, and numerous other publications. It is my pleasure to welcome Charles Ferguson to radio WhoWhatWhy to talk about his new documentary Time to Choose. Charles, thanks so much for joining us. Charles Ferguson: Thank you for having me, sir. Jeff: Great to have you here. I want to talk first about the idea and how it evolved of dealing with the scope of things that you’ve dealt with in this documentary – climate change, potential solutions, and climate change around the world – all in the context of essentially a 97-minute documentary. Charles: That was difficult without question. Taking such an enormous subject and trying to convey it in such a short time is a very difficult thing to do, but it’s also a very rewarding thing to do and film helps. There are indeed times when the pictures were worth a thousand words and I tried very hard to convey visually the impact, both of what we’re doing to the environment, and the effect of climate change, and also the reality and possibility of solutions to the climate problems. Jeff: In approaching this, to what extent did you know very specifically the points that you wanted to hit, the things you wanted the public to understand, and how much of it evolved as you were working on the project? Charles: A great deal of it came to light only after I started doing my research. When I began making the film, I am ashamed to say that I actually didn’t know that much about the subject. I had seen An Inconvenient Truth, the first major documentary about climate change of course, made ten years ago. I have a general awareness and affection for the natural world, but I really did not know a great deal about either the problem or the solution to it, and I found a great deal of what I learned is extremely surprising, quite shocking, and horrifying in some cases and unexpectedly optimistic in others. It was quite a surprising research project actually. Jeff: One of the things that you brought into this was not only the impacts of climate change but also the impacts of environmental degradation that came about as a result of many of the processes that were contributing to climate change. Charles: That’s absolutely correct and that was one of the surprises that I found. I found to really an extraordinary extent, the same things that are causing the long-term global climate problem are also causing much more immediate local environmental problems of many different kinds: air pollution, water pollution, pollution of water supplies, public health problems including cancer. I was really quite shocked at that and I was deeply shocked when I learned about the human cost of coal mining around the world. When I came to realize that coal mining in Asia had killed literally millions of people, I was really very, very surprised about that, quite horrified. And then conversely, I was equally surprised in the opposite direction. When I saw the public-health evidence and the medical evidence that if you eat a diet of the kind that is compatible with long-term sustainability with regard to agriculture and land-use, that you lead a much longer, much healthier life. It’s rare to find circumstances in which so many good things go together. Jeff: Did you understand in the context of this, particularly with respect to the economics of so much of it on a global scale, come to understand better what the pushback has been to something as obvious as climate change and some of the environmental degradation that has resulted from the coal industry, the oil industry, etc.? Charles: Yes and, in fact, another surprise was to understand the degree to which the climate problem is linked to political corruption and economic inequality. That also is something that I had not understood at all and had not been aware of. So it turns out that our energy system now, the conventional fossil fuel energy system, is one that’s controlled by a very small number of people in part because you only need a very small number of people to operate the oil industry. That has caused an enormous amount of political corruption and economic inequality around the world and, of course, the people who own an oil industry, or oil company, are not very interested in alternative sources of energy that would reduce their wealth or their political power. So you have enormous resistance from sometimes entire nations like Saudi Arabia, Russia, and Venezuela and sometimes from corrupt governments and powerful industries like the oil industry in Nigeria for example, even the oil industry in the United States. Yes, energy is a very big business and people who control it currently make a lot of money and they stand to lose a lot of money if we address the climate problem and change the way we produce energy. Jeff: Does the complexity of it – does all of the threads that you were just talking about, the environmental damage, the impact of of climate change, the inequality that results from so much of this – does the complexity of the issue with so many threads coming together, make it easier in your mind or harder to get the message out there and to get people to understand it? Charles: It might seem strange, but I think the answer is it’s both easier and harder. And what I mean by that is one of these situations where on the one hand to make the change is very difficult because everything is connected to everything else, because the current system is so entrenched and so powerful. But at the same time, if you can make the change, the benefits from making that change will also be so comprehensive, and will touch every part of life and will result in improvements so large that it seems to me that in the end they’re inevitable and inescapable. The question is one of time. The questions is whether we’re going to do this fast enough because we are facing a clock with regard to the climate problem. Jeff: Were you also surprised by the diversity of attitudes around the world. Some of the places where you showed potential solutions taking place, places as diverse as Indonesia and Kenya on the one hand and at California on the other, and then, of course, other parts of of our own country where nothing is happening? Charles: Yes, I was surprised by that too. Another thing that I had not understood previously was that there are over a billion people in the world who don’t have access to electricity and don’t have access to conventional large-scale energy of any kind. So they are dependent on cooking oil, heating oil, diesel generators, and other very primitive, and inefficient, and expensive technology. For them, solar power decentralized solar power and also wind power are really a remarkable revolution in a way for them to leapfrog over the old-fashioned conventional electricity system and to get power very quickly and inexpensively. That was quite a revelation and I was also very impressed with how much California has been able to do. I live in California and I was raised in California. Until I started making the film, I did not realize California was a global leader in addressing climate change and energy policy. California is a very prosperous place. California has been able to address these problems and continues to address them in a way that has not at all impeded the development of the economy. In fact, California is doing extremely well economically. The largest problem California faces right now is a drought which is in part caused by climate change. Jeff: You have a powerful reputation, and I mentioned in the introduction the Academy Award nominations and the Academy Awards documentary that you were involved with. Weren’t you at all surprised that nobody within the traditional energy business, or coal companies, oil companies, etc. was willing to talk about this? Charles: I was a little bit surprised, yes. It was clear in many cases that my reputation had preceded me, that people knew that I did a lot of investigative work and that when I did interviews, my questions were often tough. That certainly was an effect and clearly had an impact. But even so I was still somewhat surprised. I spoke to, tried to speak to literally hundreds of people in the fossil fuel industry and industrial agriculture. And very, very few would speak with me even privately off the record. A few did. I was able to have private off the record conversations with about a half dozen very senior executives in the world oil industry for example and two executives in the coal industry. But I was surprised that literally nobody would allow himself to be interviewed on camera. And that to me, that was telling, that said something. Jeff: What was your sense of what they were afraid of? Charles: Well, it’s kind of corny and cliché but I think they were afraid of the truth. That’s the honest answer, the real answer, I think they were afraid of the truth. Jeff: We certainly see it in some of these big companies, they realize that some of these changes are coming and in fact some of these companies are even trying to get out ahead of them. Charles: A number of the executives that I spoke to privately, admitted that there was a problem and admitted that in the long run their companies and their industries were going to have to change. But they were all evasive to varying degrees about exactly what that meant and they were also evasive or dishonest about what their companies actually did. So in fact there are a number of energy companies including most of the major global oil companies who publicly stated that climate change is a serious problem, that they agree that it needs to be addressed, and they stated that they’re publicly in favor of a carbon tax of some kind. However, if you look at their lobbying activities and who and what they actually support, it is very unclear that they really are putting their money where their mouth is. There is often a very big gap between what they say in general and where they put their money. In fact, there are several law enforcement investigations underway now. The focus of the investigations is whether the energy industry lied to the public about the nature of these problems earlier before they even admitted publicly about their existence. And so I was overall not impressed with the private conversations that I had on the subject and there’ve been several cases. For example, Shell Oil is probably regarded as the most progressive of the global oil companies with regards to public statements about climate change and the need for a carbon tax, and so on. But Shell Oil was still until very recently trying to get permission to drill for oil in the Arctic. And if you really believe that climate change is a great problem and that two thirds of all fossil fuels are going to have to remain in the ground, then you don’t [spend] the dollars trying to drill for oil in the Arctic. Jeff: What was the nexus as you saw it between all of these issues that we’ve been talking about, Charles, and political leadership both in the West and around the world? Charles: Well…certainly I got a lesson in how important money is in politics and the greater the dependence of a national economy and the nation’s government on fossil fuel energy and money from fossil fuel energy, the less likely they are to be progressive about these issues. It is not a coincidence that many of the regions that are most progressive with regard to the climate problem are regions that are affected by the climate problem, but they don’t have a very heavy dependence economically on fossil fuel energy. But at the same time, I did also see some cases that, enlightened in foreign public opinion, can be very helpful and can overcome that kind of resistance. In the state of California, as an example, California actually has a lot of oil in it, and the oil industry has been and continues to be fairly significant in the California economy. The same is true of the industrial agriculture. 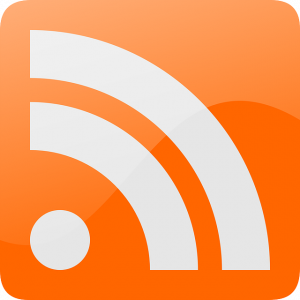 But at the same time, the economy is diversified. California has a very educated population and in California the state government actually works extremely well. There’s very little debate about the need to deal with the climate problem. There’s been bipartisan effort and consensus in climate related to environmental legislation and the system seems to be working very well. I saw bad things and I saw good things. Jeff: Where did you see the worst things? Charles: Oh…well…I would say Appalachia is pretty hard to beat. There is a section of the film about the impact of mountaintop removal coal mining in Appalachia, especially West Virginia. There’s much more about that, that I just didn’t have time to put into the film. The impact of Appalachia, the coal in Appalachia has been…devastating economically, politically, in terms of public health, environmentally, aesthetically, in every way. It’s been just devastating. Black lung, the occupational disease the coal miners get from being exposed to coal dust is actually a growing problem in Appalachia now. It’s not declining, it’s getting worse. And a very high fraction of the people that I spoke to in Appalachia had black lung. Most of the coal miners that I spoke to had black lung. It’s a very rough disease. It kills your lung and it kills you. So there’s that. Then there’s the impact of the chemical pollution caused by coal mining, both conventional coal mining and top of the roof coal mining. It polluted the water. I saw it myself personally and that water pollution has now been linked to a wide variety of diseases including many kinds of cancer. It devastates the environment and there are images in the film of what mountaintop removal coal mining looks like. It’s horrifying and the devastation is such that no other industry will locate in the region, which means that the region is totally dependent on coal mining economically. That of course means that the region is poor because coal mining doesn’t make people wealthy. And the result is a vicious circle where poverty and coal mining lead to more poverty and more dependent on coal mining. The life expectancy is six years less than the American national average. I was really quite appalled and quite shocked that something like that could be permitted to exist in the United States. Jeff: And finally, Charles, ideally what do you hope that people take away from the documentary? What do you hope that the film accomplishes? Charles: Well, a combination of a sense of urgency about the problem and a sense of optimism about the solution. This is a solvable problem and we could solve it in a way that would enhance our lives, keep us prosperous – in fact make us more so – improve our health, and improve our lives. It won’t happen automatically. We have to work for it and we have to do it fast because if we don’t do it fast, this problem really will become terribly grave. But we could, can deal with this and I hope we do. Jeff: Charles Ferguson. This documentary is just out. It is Time to Choose. Charles, I thank you so much for spending time with us today. Charles: Thank you, sir, very much. Jeff: Thank you. And thank you for listening and joining us here on radio Whowhatwhy. I hope you join us next week for another radio WhoWhatWhy podcast. I’m Jeff Schechtman.